Hello from LostGolfBalls.com, the Recycled Golf Ball Experts! Hi MGS Members, Just a heads up we are currently running a Pro V1 Sale. We've dropped the prices on the most popular Pro V's including the 2014 Pro V1's. the Pro V1x and the Pink Prov1. Check it out here and don't forget to use your Coupon Code MGS10 Thank You for Your Continued Support! Hi, We have a storefont where you can come by. Located at 12505 reed rd ste 200 sugar land, tx 77478. Thank You! We look forward to answering any questions golfers might have about used golf balls or giving some insight into how we collect them and all the interesting things that can found at golf course ponds and lakes. Hi, This sweepstakes is only open to U.S Residents. But if you know someone in the U.S, have them enter for you! 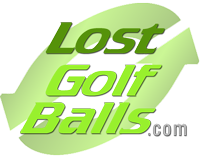 Hi MyGolfSpy Members, We are LostGolfBalls.com, and we are the largest distributor of recycled golf balls in the world! The most important thing to know about us is that we're golfers too. Each and every one of us. We love and respect this amazingly fulfilling (and fickle) game. Our huge golf ball warehouse is based in Sugar Land, Texas. But we work with 2,400+ courses from across the country to provide us with high-quality used golf balls that are recycled and sold at prices considerably less than the original retail price. For more than 20 years, we have served golfers by providing a solid product at an outstanding value. All golf balls are recycled from the very best courses nationwide, carefully inspected and sorted, and finally, washed with an environmentally friendly cleaner to provide a top quality product at half the price of new. We wash without stripping, painting or using any harsh chemicals, each ball is specially cleaned using a proprietary cleaning system and then sold for a generous discount directly to the consumer (YOU). We have used an industry-leading, independent research facility to test the balls to prove that the used balls are just as good as new! Rigorous quality control checkpoints guarantee that balls are precisely graded and sorted for sale. Although some mistakes do happen (we are human) we always rectify any issues with our outstanding customer service! We are here to answer any questions about what we do and why we think you should never buy new balls again! Also, we'll be posting about what's new in the golf ball world as well sharing our awesome promotions or giveaways! Thanks!